Judith A. Kopec, Administrative Law Judge, Office of Administrative Hearings, Special Education Division, State of California, heard this matter on January 22 through 26, February 2, 6, and 7, 2007, in Los Altos, California. Elizabeth Aaronson and Barbara A. Fielden, attorneys, represented Student. Student’s mother (Mother) also attended the hearing. A Korean interpreter was present to translate for Mother. Laurie E. Reynolds, attorney, represented Respondent Los Altos School District (District). Nancy S. Grejtak, Director, Pupil Services, also attended the hearing on behalf of District. Student filed the Complaint on June 14, 2006. On November 21, 2006, Student filed a first amended Complaint. As provided in an order following prehearing conference, dated November 20, 2006, the timelines for hearing did not recommence with the filing of the first amended Complaint.1 The record remained open for the submission of written closing arguments, which were received, and the record was closed on March 13, 2007. 1 The prehearing conference order provided that the timeline for hearing the matter would not recommence upon the filing of an amended Complaint. 3 The specialized home therapy was provided by a developmental therapist using “Floortime” techniques of play therapy embedded with social skills training. 4 Dr. Bennett holds a doctoral degree in clinical psychology and master’s degrees in psychology and education. She is a licensed and credentialed school psychologist and a licensed psychologist. 5 Ms. Sinchek holds a master’s degree in speech/language pathology and audiology. She is credentialed to provide speech and language services in public schools. 6 Dr. Fineman holds a doctoral degree in counseling psychology and is a licensed psychologist. 7 Ms. Cretekos holds a bachelor’s degree from San Jose State University and has additional hours of continuing education necessary for her licensure. 8 The testimony of Lane Tate, Student’s developmental therapist, is not given any weight. His training and experience with preschool children is extremely limited. His testimony concerning the work he did with Student, although sincere, was vague and confusing. 9 Dr. Korb is board certified in pediatrics and behavioral and developmental pediatrics. 10 Dr. Grandison holds a doctoral degree in psychology and is a licensed psychologist. 11 Ms. Cantwell holds a master’s degree in speech pathology and audiology, a clinical/rehabilitative services teaching credential, and a speech-language pathology license. She has extensive experience assessing Students and working with IEP teams to determine if children are eligible for special education services as a result of autistic-like behaviors. 12 The parties did not cite a case, nor was one found, that interprets California’s regulation governing the criteria for autistic-like behaviors. This approach is based upon the definitions of autism under both federal and state law, as described in Legal Conclusions 10 and 11, and the DSM-IV criteria for autism. 13 The two remaining criteria for autistic-like behaviors, an extreme resistance to controls and an obsession to maintain sameness, are not at issue. 14 Ms. Grejtak holds a master’s degree in special education and a education specialist credential for mild to moderate disabilities. 1. Did District appropriately assess Student in all areas of suspected disability? 2. Is Student eligible for special education services as a child with autistic-like behaviors? 3. Is Student eligible for special education services as a child with a speech and language impairment? 4. Did District commit procedural violations concerning the individualized education program (IEP) team meeting that found Student ineligible for special education services, which denied his parents an opportunity to meaningfully participate in the decision-making process? Student contends that District used a single standardized test as the sole criterion for finding he was not eligible on the basis of a speech and language impairment; District did not use appropriate assessment tools; District’s assessors were not qualified to recognize all of his autistic-like behaviors; District did not adequately assess him in the area of pragmatic language; and District should have assessed him in Korean. District contends that it did not use a sole criterion to determine he was not eligible; used appropriate and valid testing instruments; the assessors were qualified to conduct the assessment; it adequately assessed Student in the area of pragmatic language; and it was not required to assess him in Korean. Student contends that he is eligible for special education services as a child with either autistic-like behaviors or a speech and language impairment. District contends that Student is not eligible for special education services as a child with autistic-like behaviors or a speech and language impairment. Student contends that District committed several procedural violations concerning the IEP team meeting at which Student’s eligibility was determined, which denied his parents an opportunity to meaningfully participate in the IEP decision-making process. Student contends that District determined that he was not eligible prior to conducting the IEP team meeting at which his eligibility was to be decided. Student also contends that District failed to include the following members of the IEP team: a regular education teacher, a special education teacher, a Regional Center representative, his private speech and language therapist, and his private occupational therapist. District contends that the decision that Student was not eligible was made at the IEP team meeting. District also contends that all required members participated in the IEP team meeting. 2. As described in Legal Conclusions 2 through 4, District cannot use any one measure as the sole criterion for determining whether Student is eligible for special education services. District must use technically-sound assessment tools for purposes for which they are valid and reliable. Personnel who administer assessments must be knowledgeable about the assessment tools and Student’s disability. District is required to assess Student in all areas of suspected disability, including language function and communicative status. District must administer assessments in the language and form most likely to yield accurate information on what Student knows and can do academically, developmentally, and functionally, unless it is not feasible. 3. Edith Bennett4, Ph.D., District school psychologist, and Sheri Sinchek5, District speech and language pathologist, assessed Student in May and June 2006 for initial eligibility for special education services, and prepared a combined psychological and speech and language assessment report. The assessment included a review of Student’s records, such as Regional Center’s records and a private assessment by Dr. Rebecca Fineman in November 2005 and updated in May 2006, which is further discussed in Factual Findings 17, interviews with his parents, and numerous observations at his preschool and at home. Dr. Bennett or Ms. Sinchek observed Student on 12 occasions: three each at his preschool and home, and during six testing sessions. Dr. Bennett administered the Behavior Assessment System for Children, Second Edition; Gilliam Autism Rating Scale (GARS); and Leiter International Performance Scale-Revised (Leiter–R). Ms. Sinchek administered the Preschool Language Scale – 4 (PLS-4). She evaluated Student’s articulation of speech and oral motor skills, collected informal speech and language samples, and observed him on numerous occasions in different settings. 4. District used a variety of assessment tools and strategies to gather information relevant to determining whether Student was eligible for special education services. District’s assessment included a review of Student’s records, prior assessments, interviews, the administration of standardized tests, and numerous observations. Contrary to Student’s contention, District did not use a single measure as the sole criterion for determining whether Student is eligible for special education services. 5. Student contends that District’s use of the GARS was not appropriate because Student was younger than the population for which it was designed, and it under-identifies children with autism. As described in Legal Conclusions 3, District must use technically-sound assessment instruments for purposes for which they are valid and reliable. 6. Student was two years and 11 months old when Dr. Bennett administered the GARS, which is approved for use on persons ages three to 28 years. Since Student did not meet the minimum age, the results should be used with caution. There is no evidence that the fact that Student was one month shy of the lower age range means the results should not be used for any purpose. Dr. Bennett used the GARS to obtain additional qualitative information from Student’s teacher and mother. She used it as an overall screening tool; it was not used to diagnose Student. Information provided by the GARS was considered along with all the other information obtained and reviewed by Dr. Bennett. District used technically-sound instruments for purposes for which they are valid and reliable. 7. As discussed in Legal Conclusions 4, assessments shall be conducted by persons knowledgeable about the student’s purported disability, which in this case is an autism spectrum disorder. Student claims that District’s assessors were not qualified to recognize Student’s autistic-like behaviors. 8. Dr. Bennett has worked as a school psychologist for District for over four years. She assesses children to determine if they are eligible for special education services, including the category of autistic-like behaviors. She consults with teachers and parents regarding students’ educational, social and behavioral needs. Prior to working for District, Dr. Bennett worked for two years at the Diagnostic Center of Northern California as a member of a multi-disciplinary team. She assessed students with autistic-like behaviors for eligibility for special education services and provided recommendations concerning services and interventions. Dr. Bennett is qualified and experienced with diagnosing children with autism spectrum disorders using the criteria for autism in the Diagnostic and Statistical Manual of Mental Disorders, Fourth Edition (DSM-IV), which is used by physicians and mental health professionals. She is also qualified and experienced with using the legal criteria to determine whether children are eligible for special education services due to autistic-like behaviors. Dr. Bennett is knowledgeable about autism spectrum disorders and is qualified to assess Student. 9. Ms. Sinchek has worked as a speech and language pathologist for District for over six years. 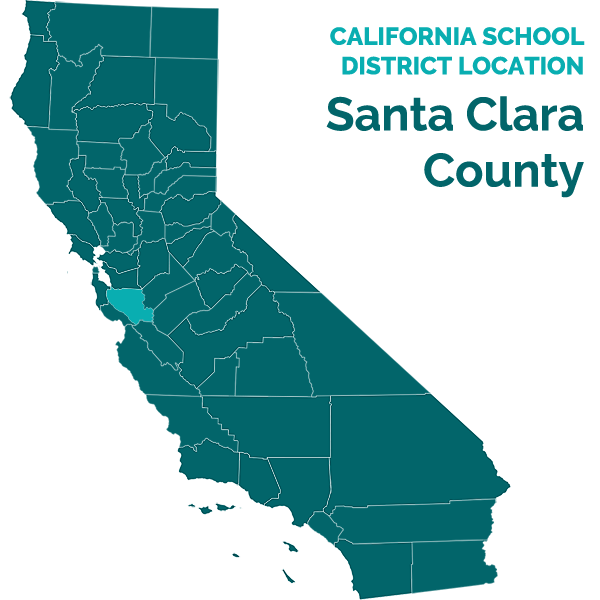 Prior to working for District, she was a speech and language pathologist for San Jose Unified School District for two years. She is a member of District’s preschool assessment team and evaluates the communication needs of a culturally-diverse population, including children with autism spectrum disorders. Ms. Sinchek provides recommendations concerning speech and language services, and provides services to students. Ms. Sinchek is knowledgeable about autism spectrum disorders and is qualified to assess Student. 10. Student contends that District did not assess him in all areas of disability because he was not evaluated in the area of pragmatic language. 11. There is no standardized test that can directly evaluate Student’s pragmatic language. The PLS-4 assesses receptive and expressive language, and explores aspects of pragmatic language, although it does not provide a score specifically in pragmatics. In addition, Ms. Sinchek evaluated Student’s use of pragmatic language with informal speech samples and observations. Student offered no evidence showing that District’s assessment of Student’s pragmatic language was deficient. District appropriately assessed Student in the area of pragmatic language. 12. Student contends that District should have assessed him in Korean, his first language. 13. Dr. Bennett took into account that Student’s native language is Korean when she selected the assessment tools she used. She selected the Leiter-R to assess Student’s cognitive potential because it is a nonverbal test of cognitive ability. By minimizing the use of English, she felt the Leiter-R would provide a better picture of his cognitive ability. 14. Ms. Sinchek also considered that Student was an English-language learner when she assessed him. She considered using a Korean interpreter during her assessment. Ms. Sinchek determined that Student could be adequately assessed in English after observing his use of language, considering Mother’s opinion that Student was able to take the assessments in English, and noting that no interpreter was used in Student’s prior evaluations. Student offered no evidence that Student needs to be assessed in Korean in order to provide accurate results. District was not required to assess Student in Korean. 15. As described in Legal Conclusions 11, a child must exhibit two or more of the following autistic-like behaviors to be eligible for special education: (1) an inability to use oral language for appropriate communication; (2) a history of extreme withdrawal or relating to people inappropriately, and continued impairment in social interaction from infancy through early childhood; (3) extreme preoccupation with objects or inappropriate use of objects, or both; (4) peculiar motor mannerisms and motility patterns; (5) self-stimulating, ritualistic behavior; (6) extreme resistance to controls; and (7) an obsession to maintain sameness. Student contends that he meets the first five criteria. 16. On May 24, 2006, District conducted an IEP team meeting to determine if Student was eligible for special education services. The IEP team considered District’s assessment, which is described in Factual Findings 3, Dr. Fineman’s report dated November 2005, which is described in Factual Findings 17, and Dr. Fineman’s report of her March 2006 observation. 17. In November 2005, N. Rebecca Fineman, Ph.D.6, assessed Student at his parents’ request because of their concern that he had speech and social deficits and may have an autism spectrum disorder. Student was two years and five months old at the time. Dr. Fineman observed Student for two hours at his preschool and administered several standardized tests. Dr. Fineman found that the results on the Autism Diagnostic Observation Schedule (ADOS), module 1, placed Student in the autistic range. She found that Student met 10 of the 12 criteria for autism in the DSM-IV and diagnosed him with high-functioning autism. Dr. Fineman did not include any analysis of whether Student met the criteria for special education services. 18. Dr. Fineman also observed Student in March 2006, when he was two years and 10 months of age. She observed him at J. B. Preschool, the preschool Student currently attends four hours a day each weekday morning. Dr. Fineman did not include any analysis of whether Student met the criteria for special education services in her report. 19. During their multiple observations of Student, District’s assessors did not observe any atypical mannerisms, routines, or behaviors. They concluded that Student’s behavior was within normal limits and he did not meet any of the criteria for autistic-like behaviors. 20. Susan Cretekos7, Student’s current preschool teacher, has 35 years’ experience working in preschools. She began teaching Student when he first attended J.B. Preschool in January 2006. She has experience teaching children with autism who attended her preschool. While Ms. Cretekos is not qualified to provide an opinion concerning Student’s eligibility for special education services, her descriptions of Student’s behavior in her school are worthy of significant weight. She has seen Student every day for the past year that he has attended her preschool, during both structured classroom activities and more unstructured playground activities, and with a variety of students. 22. Damon Korb, M.D.9, a behavioral and developmental pediatrician, evaluated Student at his parents’ request in July 2006, when Student was three years and one month of age. He reviewed some of Student’s prior assessments, spoke with his parents, and observed him in his office and while his colleague administered the ADOS, module 2. Dr. Korb reported that the results of the ADOS placed Student in the autistic range, although his evaluation report did not include the specific scores. Dr. Korb found that Student met all 12 criteria for autism in the DSM-IV and diagnosed him with autism. 23. Dr. Korb has specialized knowledge, experience and expertise regarding autism spectrum disorders, but is significantly less familiar with the legal criteria for special education services. While Dr. Korb’s opinions about whether Student meets the special education criteria are accorded limited weight, his descriptions of Student’s behavior can be relied upon. Although not included in his written report, at hearing Dr. Korb found that Student fulfilled four of the seven criteria for autistic-like behaviors. 24. Carina M. Grandison, Ph.D.10, evaluated Student at his parents’ request in August and September 2006 when he was three years and two months old. She reviewed prior evaluations, interviewed Mother and Student’s maternal aunt, observed Student for one hour at J.B. Preschool, observed him with his father, and administered several standardized tests. 25. Dr. Grandison found that Student’s results on the Wechsler Preschool and Primary Scale of Intelligence, Third Edition, indicate that he has age-appropriate intellectual ability. She found that Student did not meet the DSM-IV requirements for a diagnosis of autism, but found he had another autism spectrum disorder, pervasive developmental disorder, not otherwise specified. 26. Dr. Grandison has some familiarity and understanding of the legal criteria for special education eligibility on the basis of autistic-like behaviors. Although not included in her written report, at hearing Dr. Grandison found that Student met two of the seven criteria for autistic-like behaviors. 27. Dr. Fineman last observed Student in November 2006, when he was three years and five months of age. She observed him at Foothill Preschool, the preschool Student currently attends each weekday afternoon. 28. Dr. Fineman consistently found that Student had high-functioning autism. Dr. Fineman is familiar with the use and application of the DSM-IV criteria for the diagnosis of autism spectrum disorders. She possesses specialized knowledge, experience and expertise regarding autism spectrum disorders from a mental health perspective. She is less familiar with the legal criteria governing eligibility for special education services. At times Dr. Fineman appeared to disagree with the special education criteria because, in her view, they were not readily consistent with the DSM-IV criteria. Although not included in any of her written reports, at hearing Dr. Fineman found that Student met five of the seven criteria for autistic-like behaviors. While Dr. Fineman’s opinions about whether Student meets the special education criteria are accorded limited weight, her descriptions of Student’s behavior can be relied upon. 29. Both Dr. Bennett and Ms. Sinchek, who conducted the District’s assessments as described in Factual Findings 17, have significant experience interpreting and applying the legal criteria for special education services. They are both experienced with assessing preschool children and determining whether they are eligible for special education services. Because of this, their opinions concerning Student’s eligibility are worthy of significant weight. They found that Student did not meet any of the seven criteria for autistic-like behaviors. 30. District has a narrow view of this criterion. According to Dr. Bennett, in order to meet this criterion, a child cannot have any functional language and cannot use language to express himself or herself, or a child must be prompted every time he or she speaks. According to Ruth Cantwell11, District program specialist/inclusion specialist, a child must be unable in any setting to use oral language to communicate in a manner comparable to typically-developing peers. 32. During Dr. Fineman’s November 2005 observation of Student, she found that he repeated familiar phrases when prompted, and did not use language or gestures to initiate social contact. She also found that Student understood many words, spontaneously developed language, and expressed interest in using language to communicate. 33. During Dr. Fineman’s March 2006 observation, she found Student responding to questions with one-word answers, and exhibiting little spontaneous social language. She also found that Student’s receptive language skills were much improved and concluded that he had some age-appropriate receptive language abilities. 34. During their observations, District staff observed Student spontaneously requesting help, repeatedly using three- and four-word utterances, spontaneously making statements, asking his teacher if he could play with a toy, correctly answering questions when called upon, and using expression in his voice. 35. Susan Cretekos found that, typical of second-language learners in her experience, Student’s language was more limited on Mondays after he spent a weekend at home speaking Korean. She also found that he became significantly more talkative as the week progressed and he acclimated to speaking English at school. 36. In July 2006, Dr. Korb found that Student used language, but he did not use it to functionally communicate at a developmentally-appropriate level. Dr. Korb also observed Student responding to questions, and demonstrating independent speech, including three- or four-word phrases. 37. In August and September 2006, Dr. Grandison observed Student exhibiting little variability in his facial expressions, using oral language to communicate only to a limited degree, and that it was difficult for Student to initiate or sustain conversations. However, she also observed him engaging in pretend play, and answering questions about the pretend play. 39. Student’s experts found him engaging in oral language that was not age-appropriate. They also found instances when he did use oral language in an appropriate manner. This is true for the information that was available to the IEP team, and the additional evidence produced at hearing. District’s assessors found that Student’s oral communication was age-appropriate, which was supported by Ms. Cretekos’s observations. 40. Highly qualified and experienced experts have divergent views of Student’s ability to orally communicate. However, each of them provides only anecdotal evidence of his communicative behavior. There is no evidence indicating how frequently Student engages in oral communication consistent with this criterion compared to behavior that is not consistent with it over a particular time period. Without this, there are only isolated descriptions of Student’s oral communication skills at specific points in time; there is insufficient evidence of Student’s communicative behavior as a whole. Based on the evidence presented, there is insufficient evidence that Student met this criterion at the time of the IEP meeting, or that he currently meets it. 41. According to Dr. Bennett, a child who has no interest in social interaction, has no interest in verbal or nonverbal social communication, and is not comfortable with peers meets this criterion. According to Ms. Cantwell, a child with a history of cutting himself off from all social interaction, or a history of being severely impaired in almost all types of social interaction, which continues to the present, meets this criterion. 42. For the reasons discussed in Factual Finding 31, a reasonable interpretation of this criterion should focus on the specific behaviors exhibited by the child, both in terms of the nature of the behaviors and their frequency across settings. If a child’s behavior, taken as a whole, indicates that he or she has a history of extreme withdrawal, or a history of relating to people inappropriately, and has continued impairment in social interaction from infancy through childhood, the criterion is met. 43. In November 2005, Dr. Fineman observed Student primarily engaging in self-directed play, and exhibiting poor eye contact, especially when engaging in his favorite activities. She also observed Student engaging in physical imitation of peers, and exhibiting interest in social interactions. In March 2006, Dr. Fineman observed Student playing by himself unless prompted by his teacher, and exhibiting or sustaining no age-appropriate play without prompting by his teacher. 44. District staff observed Student following his teacher’s instructions to choose a friend and walk to the snack table, verbally expressing interest in a peer’s cookie, initiating and exchanging silly sounds with a peer, participating in a song during circle time, smiling at others upon arrival in the classroom, greeting his therapists by name, demonstrating good eye contact, transitioning easily to play alongside a peer when the teacher prompted him, and transitioning easily between tasks. 45. Ms. Cretekos found that Student’s play skills were within the range of a typical three-year-old boy. He is compliant and follows directions, makes appropriate eye contact, and gives appropriate greetings to others. While he needs prompting on occasion to engage with peers, Ms. Cretekos finds this is typical for three-year-old boys. Initially, Student was shy. However, Student became more outgoing as he became more comfortable in the classroom, has made several friends in the class, and enjoys playing with them. 46. In July 2006, Dr. Korb observed Student inconsistently using eye contact to initiate or regulate social interaction, showing a limited range of facial expressions, and demonstrating no social chatting or give-and-take conversations. He also observed Student easily participating in tasks, directing the attention of another person to objects of interest, showing some appropriate pleasure in another person’s actions, spontaneously engaging in pretend play with a doll, and transitioning well between tasks. 47. In August and September 2006, Dr. Grandison observed Student not seeking out or talking to peers during play time outside the classroom, and staying by himself during play activities unless guided by his teacher. Dr. Grandison also found that Student spontaneously sought to share enjoyment with others, exhibited the beginning of social and emotional reciprocity with others, and engaged in intermittent eye contact with others. 48. In November 2006, Dr. Fineman found Student failing to respond to peers who were trying to interact with him when they were at the water table or sandbox, and failing to use eye contact when others attempted to engage him in social interaction. She also observed Student imitating the sounds made by peers. 49. There is no evidence, either at the IEP meeting or at hearing, that Student has a history of extreme withdrawal. Student is compliant, follows directions, and is easily redirected to different activities. 50. As determined in Factual Findings 40, highly qualified and experienced experts have divergent views, based on anecdotal evidence, of whether Student relates to people inappropriately and has continued impairment in social interaction. There is insufficient evidence of Student’s behavior as a whole. Neither the evidence at the IEP meeting nor at hearing shows that Student’s behavior as a whole meets this criterion. 51. According to Dr. Bennett, a child who focuses or fixates on an object or part of an object without a functional use, or who fixates on using an object in a manner for which it is not intended meets this criterion; the behavior must be extreme or highly unusual, both quantitatively and qualitatively. According to Ms. Cantwell, a child must be preoccupied with an object to the extent that he cannot be redirected away from the object. 52. In November 2005 and March 2006, Dr. Fineman observed Student repeatedly lining up cars and pushing cars in front of his face, and visually examining the working parts of toys. 53. District staff observed Student playing with several different trucks, and quickly transitioning from playing with trucks to playing with his peers. They did not observe any atypical behaviors. 54. In July 2006, Dr. Korb observed Student showing interest in nonfunctional elements of toys by inspecting the wheels of a toy car, sniffing a toy, and categorizing blocks by color. In August and September 2006, Dr. Grandison observed Student lining up toys in order, and repeatedly touching the wheels of a toy train and saying, “Big wheel.” In November 2006, Dr. Fineman observed Student lining up trucks, and pushing trucks in front of his face. 55. Student is easily redirected away from preferred objects, such as trucks and trains. He is not consumed or fixated with preferred objects to the exclusion of other activities, or with using objects inappropriately. Neither the evidence at the IEP meeting nor at hearing shows that Student’s behavior meets this criterion. 56. According to Ms. Cantwell, a child displays peculiar motor mannerisms when he exhibits idiosyncratic movements of parts of the body. A child exhibits self-stimulating or ritualistic behavior by engaging in behavior that has no function other than to internally stimulate the child. These behaviors are not generally exhibited by typically-developing peers. 57. In November 2005, Dr. Fineman observed Student put his head and fingers in unusual postures. There is no other evidence of behavior consistent with these criteria. Dr. Fineman saw this behavior only during her first observation of Student. There is no evidence that Student’s behaviors are of the nature and frequency required by either criterion. Neither the evidence at the IEP meeting nor at hearing shows that Student’s behavior meets either of these criterion. 58. As described in Legal Conclusions 12, a child may be eligible for special education services on the basis of a speech or language impairment if the child has a language disorder. As described in Legal Conclusions 13, a child who has an expressive or receptive language disorder, and scores at least 1.5 standard deviations below the mean, or below the seventh percentile, for his chronological age or developmental level, on two or more standardized tests, has a language disorder. 59. Student’s scores on the PLS-4 range from a low of the 30th percentile in expressive communication to a high of the 61st percentile in auditory comprehension. Ms. Sinchek considered the results of the PLS-4, her many observations of Student in different settings, and her informal evaluation of his language skills, and found that he is not eligible in the category of speech or language impairment. Student offers no evidence challenging District’s determination that he does not have a speech or language impairment. Student is not eligible for special education services in the category of speech or language impairment. 60. Student contends that District determined that he was not eligible prior to conducting the IEP team meeting at which his eligibility was to be decided. 61. As described in Legal Conclusions 7 and 8, the IEP team determines whether or not a student is eligible for special education services. When making an initial eligibility determination, the IEP team must review information provided by the parents, the student’s assessments, and other pertinent information. 62. On May 24, 2006, District conducted an IEP team meeting to determine if Student was eligible for special education services. Student’s parents; his attorney, Ms. Aaronson; and Student’s aunt attended on behalf of Student. Ms. Sinchek, speech and language pathologist; Dr. Bennett, school psychologist; and Nancy Grejtak14, Director, Pupil Services, attended for District. Lane Tate, Student’s developmental therapist, and Ms. Cretekos, Student’s private preschool teacher, also attended. 63. Dr. Bennett and Ms. Sinchek stated in District’s assessment that Student is not eligible for special education services as a student with either a speech and language impairment, or autistic-like behaviors. Student claims that by including this in the assessment, District predetermined that Student was not eligible for special education services. This overlooks the fact that, as described in Legal Conclusions 6, District’s assessment report is required to make a determination about whether Student may need special education services. 64. Each of Student’s three representatives at the IEP team meeting had an opportunity to, and participated in, the meeting. They each expressed their concerns about District’s assessment and the recommendation that Student was not eligible for special education services. The IEP team engaged in a lengthy and complete discussion of Student’s eligibility. As a result of this discussion, the IEP team determined that Student was not eligible. There is no evidence that District predetermined that Student was not eligible for special education services prior to conducting an IEP team meeting. 65. Student contends that District was required and failed to include the following members of the IEP team: a regular education teacher, a special education teacher, a Regional Center representative, his private speech and language therapist, and his private occupational therapist. 66. As described in Legal Conclusions 14, an IEP team is comprised of, among others, the parents of the child; at least one of the child’s regular education teachers, if the child is or may be participating in the regular education environment; at least one of the child’s special education teachers, or, if appropriate, at least one of the child’s special education providers; and others with knowledge or expertise regarding the child, at the discretion of the parent or school district. As described in Legal Conclusions 16, the school district is responsible for determining which member of the IEP team fills each role for the district’s required participants. As described in Legal Conclusions 15, a school district that does not provide preschool to children without disabilities is not required to have a regular education teacher at a preschooler’s IEP meeting. 67. The IEP team did not include a District general education teacher because District does not employ any general education preschool teachers. There is no evidence that District provides general education preschool to children who do not have disabilities. Therefore, District was not required to have a general education teacher at Student’s IEP team meeting. 68. Even if District was required to have a general education teacher attend the meeting, there is no evidence that Student lost educational opportunity or his parents were denied an opportunity to participate in the decision-making process. Ms. Cretekos participated in the meeting and provided the team with information concerning Student’s behavior and progress in her general education preschool classroom. 69. District appropriately determined that Ms. Grejtak filled the role of a special education teacher at the IEP team meeting. She is the director of District’s special education program, and previously worked for Sunnyvale School District as a resource specialist and teacher, and inclusion specialist and teacher. 70. District was not legally required to have Student’s private speech and language therapist, private occupational therapist, or a Regional Center representative attend the meeting. As discussed in Legal Conclusions 14, Student’s parents have the discretion to have others with knowledge or expertise concerning Student attend an IEP team meeting. If Student’s parents wished these other individuals to attend the meeting, they should have requested that they do so. 71. There is no evidence that District failed to include any of the required members of the IEP team at the meeting which determined Student was not eligible for special education services. 15. Both state and federal law are silent concerning whether the composition of the IEP team is the same for preschool children. In comments to the 1999 federal regulations, the U.S. Department of Education enunciated a policy in this area. If a school district provides regular education preschool services to children who are not disabled, then a regular education teacher is a required member of a preschooler’s IEP team if the child is or may be participating in a regular education setting. (64 Fed.Reg. 12472 (Mar. 12, 1999).) Although this policy is not included in the comments to the 2006 federal regulations, no intent is found to discontinue or reject this policy, particularly since there was no change to the pertinent provision of the underlying regulation. Did District fail to comply with the legal requirements when it assessed Student? Did District appropriately assess Student in all areas of suspected disability? 18. As described in Legal Conclusions 2 through 7, and as determined in Factual Findings 4, 6, 8, 9, 11, and 14, District complied with the legal requirements when it assessed Student. District did not use a single measure as the sole criterion for determining Student’s eligibility. District used technically-sound assessment instruments for appropriate purposes. District’s assessors were qualified to assess Student. District appropriately assessed Student in pragmatic language. Finally, District was not required to assess Student in Korean. Is Student eligible for special education services as a child with autistic-like behaviors? 19. As described in Legal Conclusions 8 through 11, and as determined in Factual Finding 40, 50, 55, and 57, District appropriately determined that Student is not eligible for special education services as a child with autistic-like behaviors, and Student did not show at hearing that he is eligible. There is insufficient evidence that Student meets any of the requirements for eligibility as a child with autistic-like behaviors. Is Student eligible for special education services as a child with a speech and language impairment? 20. As described in Legal Conclusions 8, 9, 12, and 13, and as determined in Factual Finding 59, Student is not eligible for special education services as a child with a speech and language impairment. Did District commit procedural violations concerning the IEP team meeting that found Student ineligible for special education? 20. As described in Legal Conclusions 14 through 17, and as determined in Factual Findings 64 and 70, District did not commit any procedural violations concerning the IEP team meeting that found Student ineligible for special education services. There is no evidence that District predetermined that Student was not eligible for special education services prior to conducting an IEP team meeting. There is no evidence that District failed to include any of the required members of the IEP team which determined that Student was not eligible for special education services. All of Students claims and requests for relief are denied.